Body Wrap – They say no pain no gain but we beg to differ. Who wouldn’t want to look slimmer and toned without the hassle, cost and scars of cosmetic surgery. You’d think it’s impossible but our clever Body Wrap uses natural non invasive treatments, almost like a spa massage to drain out your toxins, melt fat deposits, smooth our that dimply area on your thighs and get rid of that muffin top you have on your waist. The action of wrapping the body carefully and letting the products and heat do the work, help tremendously in boosting a sluggish lymphatic system hence increasing the rate of your metabolic activity. 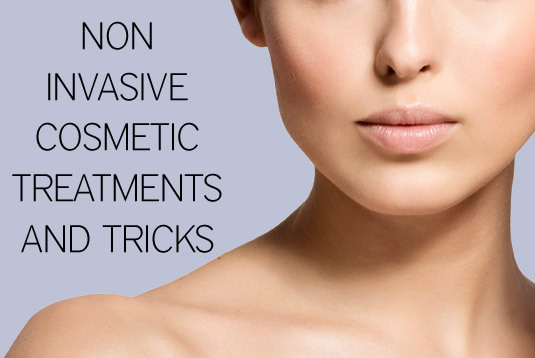 Along with a healthy diet and a work out routine, this treatment can work wonders and give cosmetic surgery a run for its money! Derma Roller – No skin implant is necessary to get rid of stubborn chicken pox pits and teenage or adult acne scarring. In a modern world of today where there are many other non invasive treatment alternatives and in this case, something as simple as a Derma Roller. It is a non-electronic device which contains a needled barrel safe enough for a therapist to use of your skin or even use at home by yourself. The to and fro motion of this puts skin into a panic state tricking it to believe the skin has been ‘injured’. The immediate result is that the skin kick starts its healing process, delivering brand new, baby soft and fresh skin within weeks of use. Surgery for scars is a thing of the past. Skin rejuvenation and renewal is now easier, effective and achievable with Derma Roller. CACI – The celebrity’s favourite non invasive treatment alternative to a painful surgical face lift is this revolutionary facial treatment which uses micro currents and electro buds to retexturise the skin from inside out, educating the muscles and providing a little workout session for them. You can spot treatment areas just like cosmetic surgery by targeting the jowls, saggy chin, wrinkly eyes or your jaw line and our therapist will concentrate on those areas more. The pain free and relaxing process will inject skin with a boost of moisture, leaving skin glowing, taut, firm and brand new in just one treatment. Dermal Filler – Known as the liquid face lift, Dermal Filler Injections are known to replenish the level of hyaluronic acid and collagen in the skin, making it appear plump and volumised. Especially useful and effective around areas such the cheeks, under the eyes and around the mouth, this popular treatment makes sunken and deflated areas look supple with a natural biodegradable gel like substance that is FDA approved and is of non-animal origin. You don’t need a plastic surgeon and a few stitches to retexturirse your face. Dermal Filler Injections will rebalance the shape of your face it looks fuller hence making you look younger than your age.